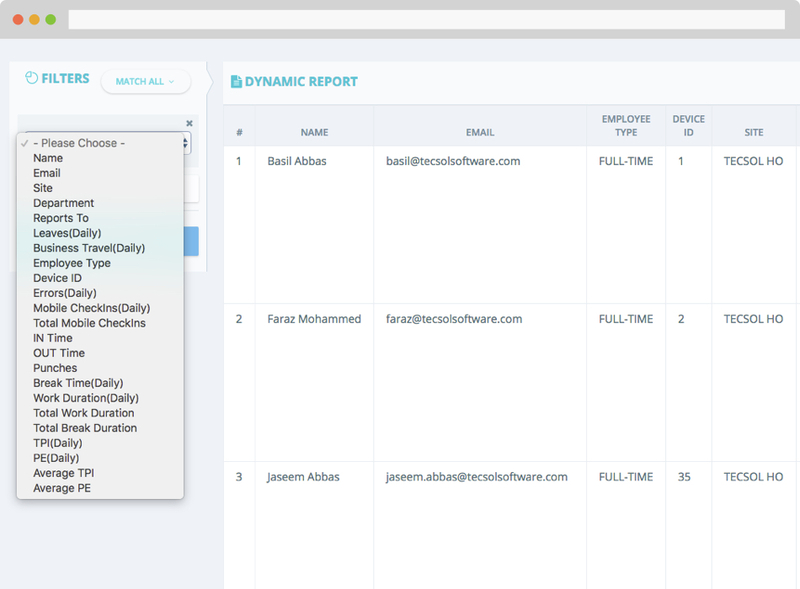 Our one reporting module is all you need to get any king of report for your organisation. With over 23 filters ClockIt supports more than 10,000 different kinds of reports. 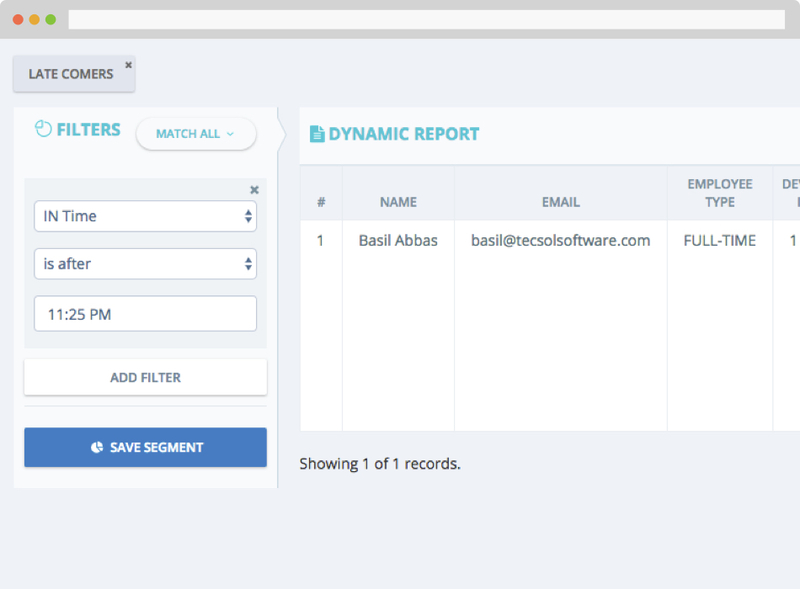 Save users into segments and easily load reports on demand. With more than 23 filters available and many more under development, you can mix and match filters to create deep insights about your organisation. Mix and match filters to create dynamic reports. Add any number of combinations in AND or OR operations. New filters are in development and updated with every new release. Need a filter for your business. Speak to support and we will develop it for you. Save users under segments after filtering them. Pull up segments are reports at anytime with ease. You can create any number of segments from any of the filters. Create as many filters as you wish for your company as per your company process. Create segments and set permissions so that reports are standardised for the entire company. Easily load data with each segment and have quick access to your data. Only display information that is important in your report. Remove all the clutter and analize data that is important to you. Choose what data is important to you. Generate clean readable reports. 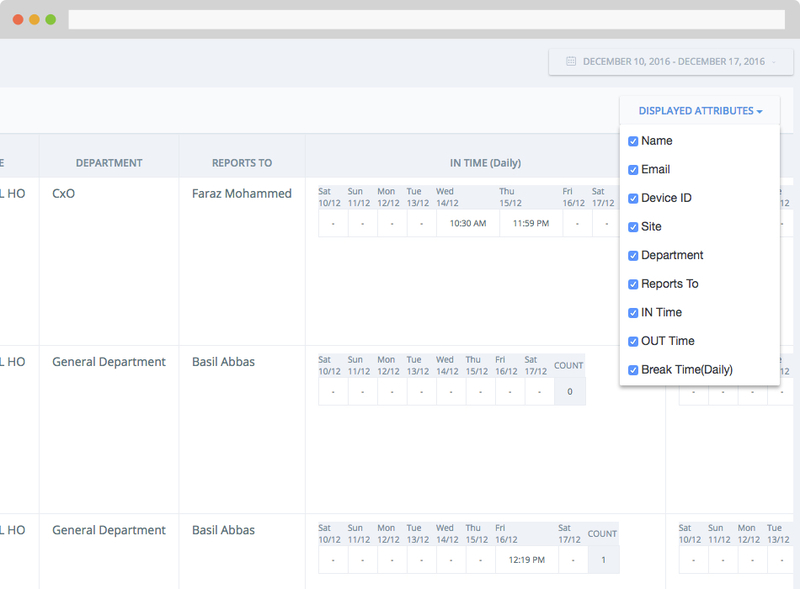 Combine filters and display attributes to generate reports that are simple yet data driven. We are constantly adding new display attributes to make your reports even better.